Home / Food and Drink / How spray drying process helps in food preservation? How spray drying process helps in food preservation? Food preservation is a process in which various food items are kept for long time without spoilage. If you want to deliver quality products to your customers, you must know how to preserve your products. 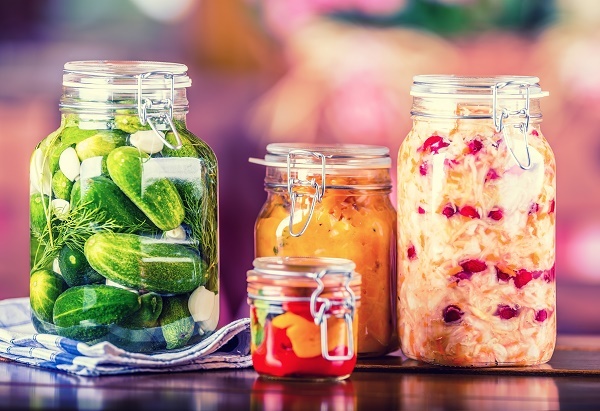 There are different methods of food preservation. Food preservation techniques improve quality of food products.Spray drying is one of them. It converts liquid into powder/ dried form. Nowadays, Micro capsulation is being used in food and pharmaceutical industry for food preservation.Micro capsulation is used to preserve various foods. It is a process in which food ingredients are incorporated in small capsules. Food Industry uses spray drying for microencapsulation. Modern spray drying method preserves valuable nutrients during processing. Spray drying is used to preserve baby food, milk, beverages. Principle: Spray drying is considered a dehydration method. The basic principle of spray drying method is atomizing the food, preferably preheated and concentrated to form very minute droplets which are directed to drying chamber, where they are mixed with a current of hot air. Here food particles lose moisture and dried to fine power. Spray drying is widely used for heat-sensitive foods. It is most economical drying process where large quantities can be handled smoothly. Dairy Industry uses this technique for making milk power and dairy whitener. Mechanisms:Water is the main cause of deterioration. It supports microbial growth. In Spray Drier, condensed product is atomized and dispersed in hot air stream. As the product changes from liquid at the entrance to a moist solid to a dried solid, the rate of drying also changes. The rate of drying may be constant rate and falling rate. During constant rate, there is uniform loss of moisture from the product which is controlled by speed and temperature of air over the droplets and continuous until free water on the surface. After this period, a crust or solid phase is formed over the droplets which resist the flow of moisture from the droplets. The resistance increases as the water vapour phase proceeds to the center of droplets. This happens at falling rate. Spray drying method yields superior milk powder. It is most appropriate method for making baby food products as it preserves nutrition. Spray Drying improves flavor and solubility of milk powder. Foam Spray Drying is a popular spray drying method for food preservation. This is an improved version of conventional spray drying method.Another effective method for food preservation is foam spray drying.Foam Spray Drying is a process of forcing gas into liquid products after the pump but before the atomizer in order to produce foam. This method is mainly used for skim milk, butter milk, cream and whey. After obtaining the final product, moisture proof packaging is done. It prevents microbial growth and water activity. Thus it preserves the quality and nutritive value of the product. In recent days,Nitrogen packaging and vacuum packaging are widely used in dairy and food industry to improve durability of food products.